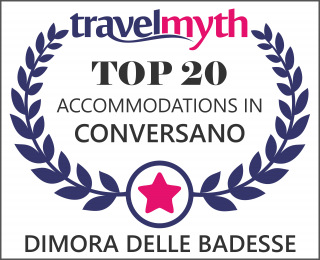 The rooms at the “Dimore delle Badesse”, which have been carefully and lovingly restored in true Mediterranean-style, are both comfortable and well-furnished and feature exposed stone (pietra viva) walls, wooden beams and traditional curved ceilings (volte a botte). All rooms are independently-heated and have their own TV. Rooms are available to satisfy all types of accommodation request; single, double, triple and family-size. Bathrooms are spacious and modern; each has a shower and hair-drying facilities.